While less common and more expensive than their SFP (Second Focal Plane) counterparts, FFP (First Focal Plane) scopes are well-liked due to their consistency. 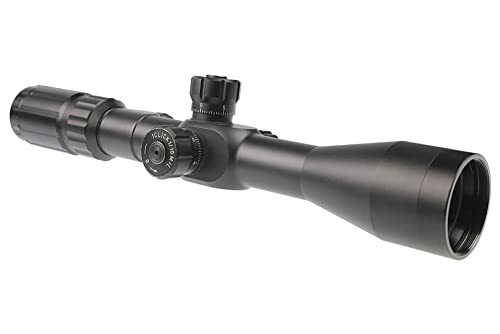 Designed with a reticle that grows and shrinks as you change the magnification setting, FFP scopes simplify the task of estimating target distance and holdover. Whether you are a hunter or a tactical shooter, you should secure the best FFP scope if using the sub-tension is an integrated part of your shooting techniques. That being said, because of the high acquisition cost of FFP rifle scopes, it goes without saying that you need to make a wise investment. The last thing you want to do is to waste your money on a scope that is incompatible with your shooting styles and personal habits. In the case you are new to FFP scopes and know little about available options, this article is for you. Down below, you would find a couple of high-quality examples on the market along with their specifications and reviews. In addition to that, a short shopping guide is also present in order to help you make up your mind. Check out the provided information to secure a good scope. Optimized for hunting applications, Nikon Prostaff 5 is the scope you want to have while shooting through dense branches and bushes. The presence of multiple layers of anti-reflective compounds permits the Nikon rifle scope to gather light effectively and efficiently 24/7. Therefore, you could detect and track targets with relative ease. Since the scope employs spring-loaded zero-reset turrets, you would have no trouble making temporary adjustments on the field. Similar to other Nikon rifle scopes, the BDC reticle of Prostaff 5 is compatible with Nikon Spot On Ballistic Match Technology. By taking advantage of that, you could take the guesswork out of bullet drop compensation. Now, you would be able to deduce the exact aiming point at varying distance in a blink of an eye. The Nikon scope also has a quick focus eyepiece so you could bring the reticle into focus at moment notice. To show the confidence they have in their rifle scope, Nikon back Prostaff 5 with an attractive lifetime repair/replacement guarantee. Want a cope that could reach out 1,000 yards and beyond? Then you have to take a look at Athlon Optics Argos BTR, it’s the best FFP scope for the money in term of range. 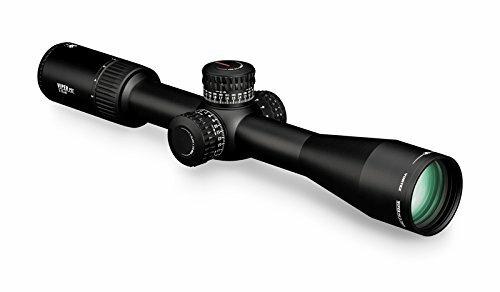 Made from top grade aluminum, the Athlon Optics rifle scope possesses excellent structural integrity along with commendable resistance against recoil. Hence, the mechanisms remain dependable and reliable even when they are subjected to unforgiving abuse. About the glass, the scope multicoated lenses would always keep the targets bright and clear. Since Athlon Optics Argos BTR employ an illuminated glass etched reticle, you could aim and shoot accurately throughout the day. 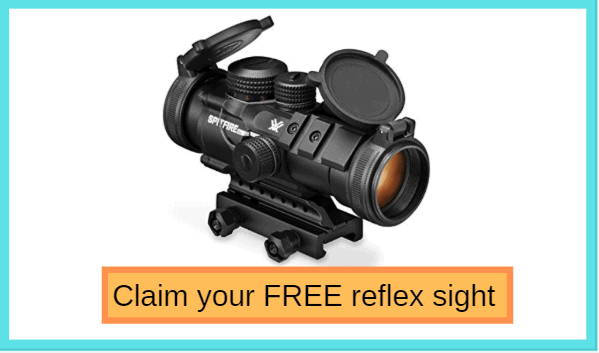 Moreover, due to the reticle design, the backing support offered by the Athlon Optics scope is superior to other models. As a modem product, the scope is waterproof and fogproof which mean it’s a good choice for people in need of a rugged accessory. For the reticle, Vortex Optics Viper PST Gen II utilizes an illuminated pattern with sub-tension lines and hold dots. As a result, most shooters should be able to hit their desired targets in low light conditions without much difficulty. The intensity of the reticle is adjustable, there are 10 levels for you to choose from. O-ring sealed and argon purged, the Vortex Optics scope could function in challenging weather as well as harsh environments. Produced for rifles that are chambered in 5.56 x 45mm NATO, Primary Arms ACSS is a rugged and durable FFP scope. Featuring adjustable parallax setting, the Primary Arms model allows users to consistently land shots on targets at various shooting distances. The tube of the scope is constructed from high-quality aluminum so it handles most vibrations and shocks relatively well. In term of resistance, the scope is waterproof and fogproof so outdoor elements and weathers would not degrade its performance. The illuminated reticle of Primary Arms ACSS is powered by a single CR2032 battery and there are 6 brightness options available. Aside from that, you have wind holds and leads that are calibrated for ordinary 5.56 x 45mm NATO loads as well. With a minimum magnification level of 4x and a maximum magnification level of 14x, the Primary Arms scope could offer shooters a lot of flexibility. Accompanied the scope is a 3-year warranty that should take care of any trouble you experience while using the product. In the case you only need a basic short range FFP rifle scope, Bushnell AR Optics is your best bet. Although its 1 – 4x magnification power is definitely not impressive, the Bushnell scope would serve you well in short range shooting. Due to the presence of Throw Down PCL lever, you could quickly change the power setting as the situation demand. In term of clarity, the scope uses high-grade multicoated glass so you would be able to acquire targets at any time of the day. The BDC reticle of Bushnell AR Optics is optimized for use with 5.56 x 45mm NATO rounds, it provides shooters with precise ranging and aiming points. In most of the case, the caliber specific reticle of the Bushnell scope should permit to send round down range with peerless accuracy. Nitrogen purged and O-ring sealed, the rifle scope would be immune to virtually all water and fog-related issues. Thanks to target style turrets, it’s pretty easy for you to make changes to the elevation and windage settings. As always, the shopping budget plays an important role, you have to keep it in mind while checking different scopes. For most of the time, you should be able to find an excellent FFP scope that suits your wallet if you are willing to search. However, remember that you get what you pay for, a dirt cheap product could not last long on the field. Therefore, in order to get a good FFP rifle scope, you should take some time to compile desired features and compare them to market models. That would let you come up with a realistic budget. Low power rifle scopes perform well in case you want to track and shoot targets at short-to-medium distances. On the other hand, high power scopes provide shooters with high target resolutions which is essential in long range shooting. All things considered, the optimal magnification power for your FFP scope depends on your preferences. The rule is to go for a maximum magnification setting of 12x or so if you regularly have to shoot at distances less than 500 yards. In the case your frequent shooting distance exceeds 500 yards, the scope maximum magnification setting needs to be greater than 12x. The larger the objective lens is, the more light it could gather which result in bright and clear target images. Nonetheless, it doesn’t mean that you should prioritize scopes that have large objective lenses. A rifle scope that possesses a large objective lens needs to be mounted fairly high over the barrel and action. From time to time, such a setup may disrupt your ability to maintain a proper cheek weld and reduce the overall accuracy of your shots. Moreover, the size and the bulk of large objective lenses often affect the rifle balance. In most of the case, high power scopes are accompanied by large-sized objective lenses. There are a lot of reticle patterns in circulation from robust center dots to sophisticated grids but 3 types stand out from the rest: Duplex, Mildot and BDC (Bullet Drop Compensator). Duplex: Characterized by a thin center crosshair that becomes thicker as it reaches the outer areas, Duplex is considered to be the most common reticle style. Because of its straightforward layout, this reticle style is well suited for a wide variety of shooting needs and requirements. Mildot: At first glance, Mildot is similar to Duplex but there are a couple of differences. The crosshair of this reticle contains a series of equally spaced dots that shooters could use to estimate target distance. Furthermore, the dots would help you make precise adjustments to the windage and elevation settings. BDC (Bullet Drop Compensator): As its name suggest, BDC permit shooters to compensate for bullet drop without having to modify the scope elevation settings. Compared to other types of reticle styles, BDC offers a lot of versatility and flexibility. Many low power scopes are set to be parallax free at a specific distance – e.g., 100 yards – which should be fine in short range shooting. However, in the case you are shopping for a long range rifle scope, you have to consider using something that possesses a side focus knob. That knob would present you the ability to correct parallax and maintain a consistent level of accuracy with relative ease. The side focus knob is typically placed in the opposite of the scope windage turret. 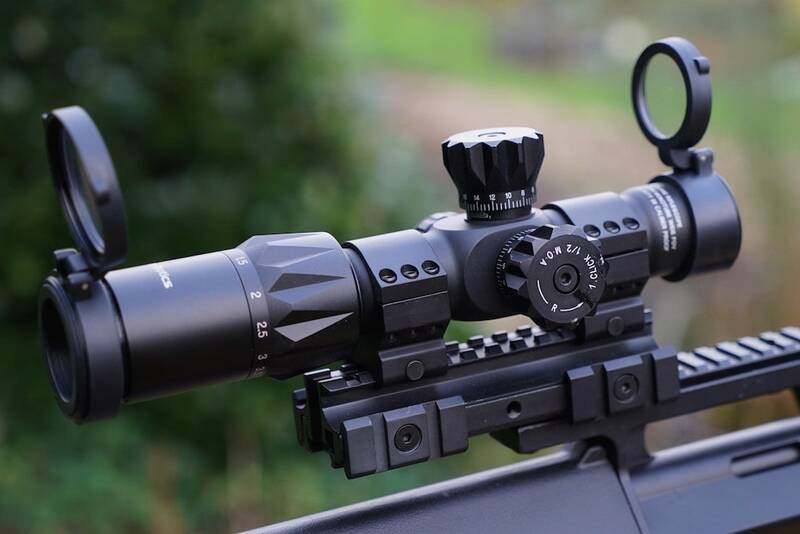 Regarding the scope adjustment, there are 2 measurement systems: MOA (Minute of Angle) and MRAD (Milliradian). At 100 yards, 1 MOA corresponds to about 1 inch while 1 milradian is equal to 3.6 inches or so. The primary advantage of the MOA system is it often comes with small adjustment increments which mean you are able to precisely zero your scope. In contrast, multiple shooters are attracted to the simplicity of the MRAD system, it pretty much works as a ruler. 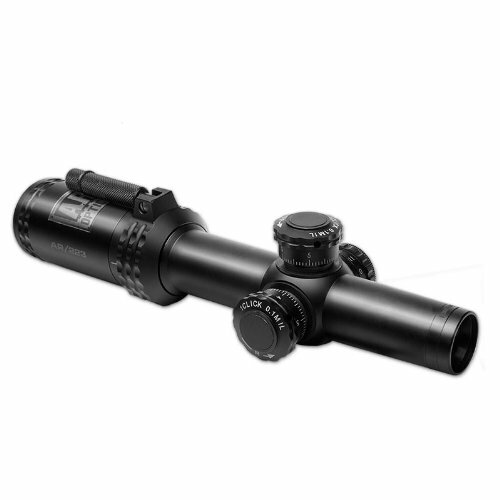 The milradian system is mainly utilized by Mildot reticle scopes. You don’t have to be a veteran shooter to know that you have to take care of your scope. That being said, it’s a good idea to ensure that your scope could operate in less than ideal situations. For most of the time, rifle scopes that are used in the outdoors must have O-rings and nitrogen/argon purging gasses in its tube. Such features would keep the rifle scope from experiencing issues related to water and fog. Aside from that, you should take a glance at the exterior surfaces of the tube. 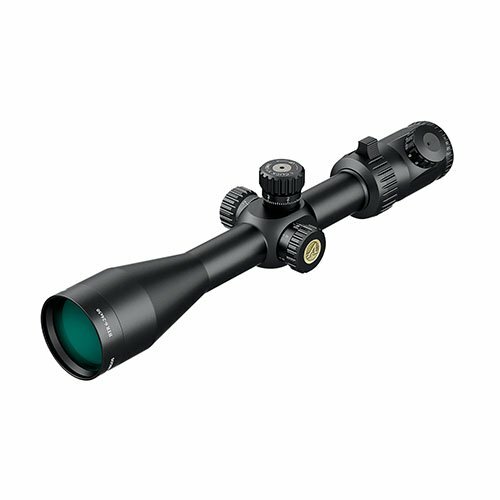 Most rifle scopes that have hard anodized surfaces are usually much tougher than ordinary products.